When examining the factors that can affect the service life of bearings, it is important to remember environmental considerations. 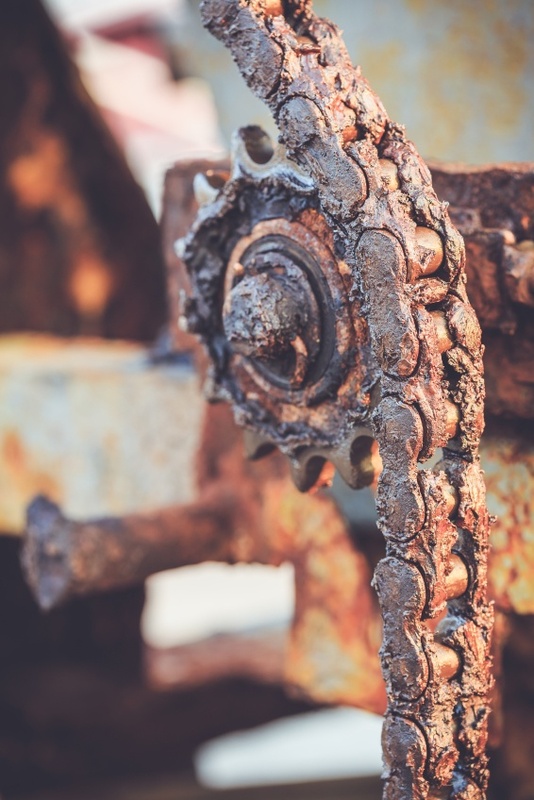 Bearing failure is rarely caused by bearing material or manufacturing problems; instead, it is frequently due to the effect of foreign substances on bearing functionality. The amount of dirt, debris, or other contaminants that bearings encounter plays a direct role in how long they remain functional and effective. Ignoring such wear can lead to breakage or even system failure if the environmental contaminations remain unaddressed. Foreign particles, such as dirt and dust, can be some of the most significant sources of wear in bearings. After engraining themselves within the bearings, contaminants can cause significant damage and potentially lead to system failure. These foreign particles can also contaminate lubricant used in a bearing, causing accelerated wear and significant damage. Severity of bearing damage and its subsequent effect on bearing service life depends on the size, hardness, and concentration of contaminants, in addition to the amount and viscosity of lubricant used on the bearing. More viscous lubrication reduces the level of wear for the contaminated bearing. The same damage done by dirt and dust can also occur with water or other aggressive media, including metallic debris. When suspended or dissolved water in lubricant interacts with a bearing, it can cause etching and microcracks that reduce the integrity of the bearing. A system operating at high temperatures can cause bearing fatigue and damage from overheating. When selecting the proper bearing and lubrication for your application, it is important to consider the required operating temperature and running schedule (intermittent vs. continuous) that the bearing will need to support. In some applications, bearings come into close proximity to currents, which cause sparks that can pit or flute on the surface of the bearing. To correct this, install a bypass circuit or outfit bearings with insulation to prevent sparking effects. • Sealing — Proper sealing is essential for eliminating dust, dirt, and water from bearings. A number of different specialty seals are available to keep water, metallic debris, and other contaminants out without affecting the functionality of your bearings. • Lubrication — It is vital that lubrication does not become contaminated, as this causes wear acceleration. Maintaining both the proper amount and type of lubricant will ensure dependable bearing longevity. • Insulation — For applications in which a bearing comes into contact with current sparks, it is important to use insulating materials to prevent bearing degradation or failure. Applied either directly on or within the bearing, such insulation should be a required design consideration for bearing applications like power-generation equipment. At Emerson Bearing, we lead the industry in providing the best bearings for even the most grueling applications. We are proud to offer our Emerson Bearing Failure Analysis guide, providing comprehensive information to help you to correct and prevent future bearing failures — even in the most difficult environmental conditions. To learn more about our products or request a quote, contact us today.